After we had a snack at Blugre Coffee, we decided to stroll around Matina Town Square. 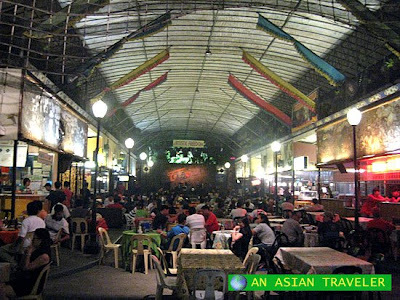 I just found out that MTS is worth visiting for a casual night out and relaxation. The U-shaped area has several decent bars, souvenir and convenient stores (they close early) and a spacious park providing a good opportunity for strolling. 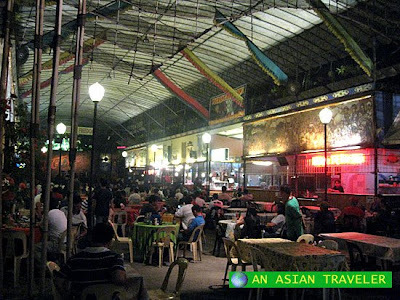 Luckily, we discovered a favorite spot mainly frequented by Davaoeños and visitors alike in MTS. The sound system was pumping with some eardrum-throbbing rhythms when we passed by Taboan Food Bar (just beside Blugre Coffee). But due to our limited time we never really had a chance to stop and check out the place. However, we could tell right away that Taboan is a great place for entertainment where you can just sit back, relax, and enjoy the perfect sounds of live bands. Everyone's table has a perfect view of the elevated center stage. 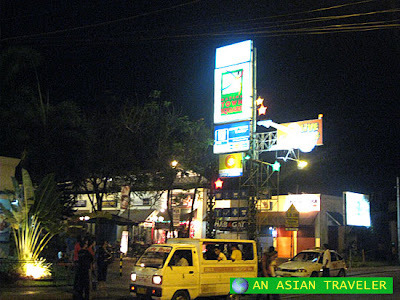 There are various food stalls with a great array of gastronomic dishes and local beers on offer. Looking at the signage board displayed outside the bar tells me that some known local artists and bands are also invited to perform here. It was Saturday night and their guest singers at that time were Chad Borja and Tony Edullantes. 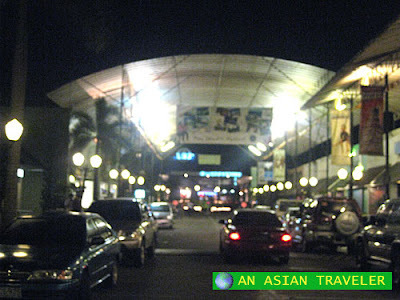 Matina Town Square has a festive laid back atmosphere. You can expect to shell out less than the normal bar prices compared here in Metro Manila. I guess business in MTS is particularly busy on Fridays and Saturdays. It's a perfect place for a good clean fun and I'm pretty sure hungry night owls will enjoy here. The square is easy to find, just a quick cab will bring you to the right direction. The Taboan Food Bar sounds great. We love listening to live bands' music and this place looks entertaining and relaxing as well. The question is, kailan kaya ako makapunta dito. Anyway, your post have brought us there, somehow. Thanks. what happened? you forgot to renew your old domain? that's when you get to really appreciate the culture of eating out in a place like that.